If last entry was about her online shop, this is about her Official Website. It's the perfect jumping in point to discover the work of Ako Itani as it leads to her shop, her YouTube channel... It's an honor for this humble blog to help to project her figure around the world. 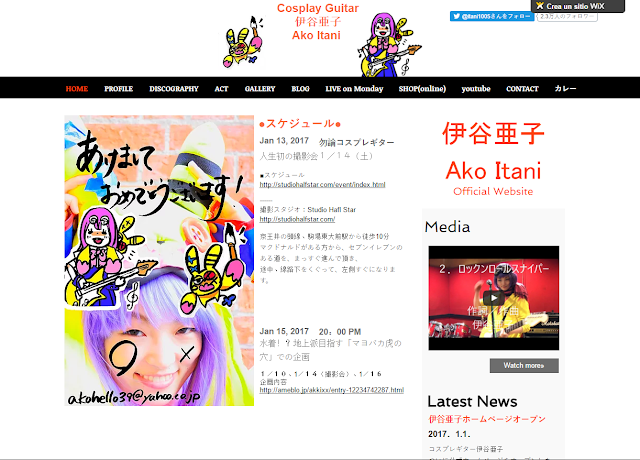 Ako Itani is a cosplayer idol who plays the guitar. She has a great passion for heavy machinery and for anime, as her covers shows. She is without any doubt a great symbol of what pop culture can offer. A creative person who brings a much needed joy to the world. She has our full support and admiration.